2017 was a year characterized by alternating periods of warm and cooler weather. 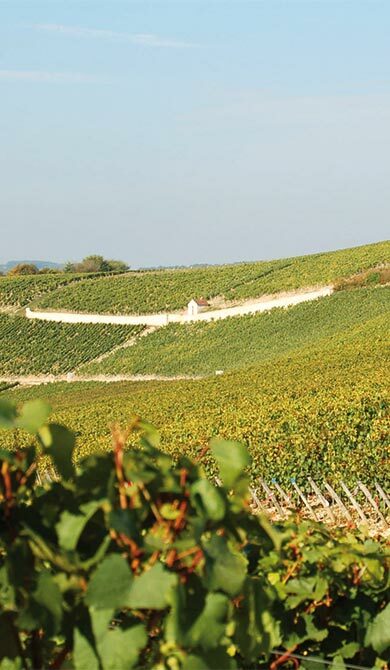 Following a winter that was cut short due to the arrival of rather high temperatures in February and March, cool weather returned in April, along with frost for the second consecutive year in a row that did damage in the Chablis region. The spring and summer were warm and dry, allowing the vines to get back on track with a steady rhythm, resulting in an early harvest at the beginning of September. 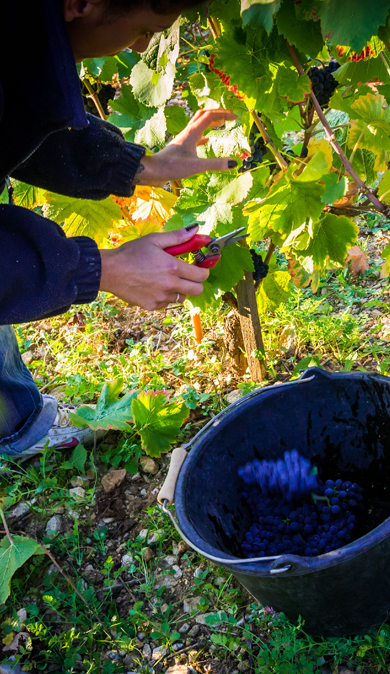 Apart from the frosts experienced in Chablis, the overall harvest in Burgundy was good. The Chablis are very typical of their terroir, with chalky notes and saline freshness. For the rest of Burgundy, the wines are well balanced and highly aromatic with taut, saline notes on the finish. The red wines are very elegant, boasting highly precise aromas and flavours, the perfect expression of the typicity of their terroir. The 2017 vintage will allow wine lovers to delight in wines that are expressive and elegant even in their youth. After a stunning 2015 vintage and a spring that was disrupted by climatic ups and downs, we wondered if Burgundy would be able to produce wines in 2016 that would be as complete. Although the frost on 26 April spoiled a considerable part of Burgundy’s production, it also certainly contributed to the constitution of very flattering balances that became evident during the ageing process. 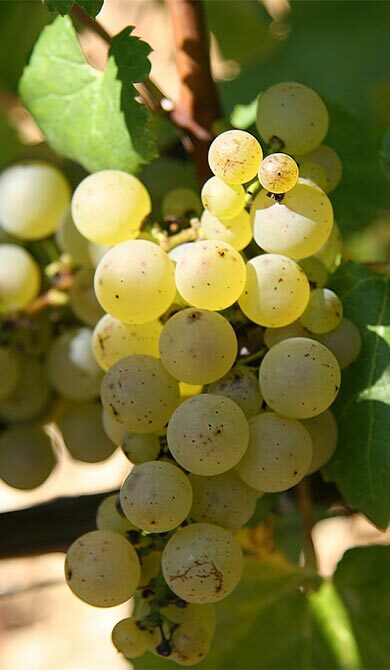 The Chardonnays exhibit a more golden colour rather than the typical greenish-gold nuances. On the palate, the wines are more taut than in 2015. They are true to their terroir and boast lovely concentration due to low yields. They will delight lovers of great white Burgundies, even while they are still young. The reds feature deep garnet colour. 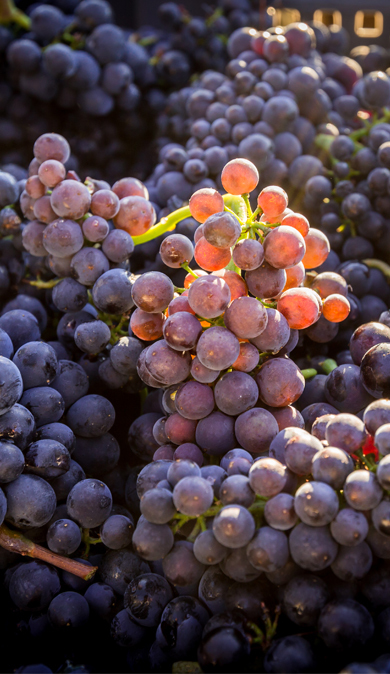 The density of floral aromas and flavours and concentrated tannins that are smooth despite the summer heat lend remarkable Pinot Noir typicity to the wines. The wines are softer than those from the previous vintage with precise expression of the terroirs, proving that we met the challenge with success. If 2015 was a vintage for laying down, 2016 will delight lovers of great wines that may be enjoyed in their early years or left to age in the cellar. 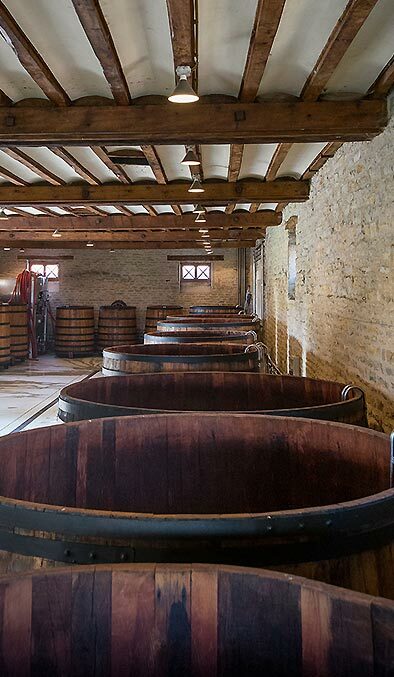 The 2015 vintage: a great vintage that will go down in the history of Burgundy! The months of June, July and August were marked by particularly dry, hot and even scorching weather conditions during several weeks. Thankfully, spells of rain which were eagerly awaited, fell in August and allowed to relaunch the maturation process which had slowed down and even stopped in certain vineyards. 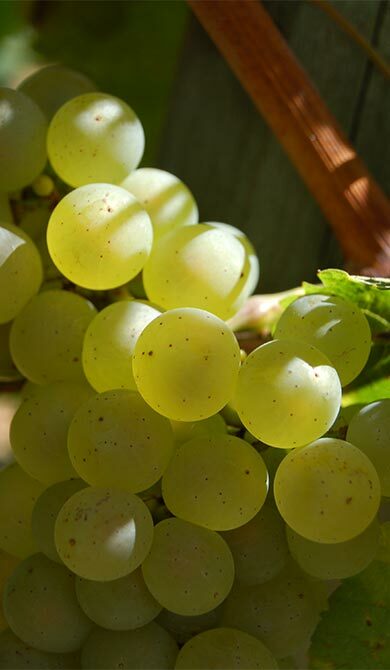 White wines are developing ripe notes of white and yellow fruits entwined with delicate hints of flowers. In the mouth, they are very harmonious and perfectly combine richness and freshness. Red wines are showing a deep, intense and shiny colour. To the nose, they reveal a remarkable aromatic complexity of ripe fruit and dark flowers (peony …). In the mouth, they are fleshy, rich and ample with silky and round tannins, which are the signature of a very ripe vintage. The 2014 vintage: a complex year, but an exceptional vintage for the whites! The hot, dry summer weather was most beneficial for the vines. The winter was mild and the spring was dry. Volumes were good, despite violent hailstorms in June; some of the Côte de Beaune’s appellations were particularly hard hit. Overall the health of the vines was very good. It was an excellent year for the whites. They have a precise, chiselled profile with substance and minerality, which foretells excellent cellaring potential. Nice concentration on the palate, a fruity, elegant nose; soft, pleasing tannins lend lovely length. The 2013 vintage: Astonishing Burgundy! On the palate, this vintage is a real success even though the weather during the year was changeable: after a long winter, a gloomy spring and a nice summer, the harvest didn’t start until early October. Capricious weather conditions resulted in lower yields and volumes equal to or lower than 2012. It was a difficult year both for the vines and the growers who were nevertheless rewarded for all of their hard work as the wines reveal real aromatic purity, with well-balanced, particularly appealing structure. Gorged with fruity flavour and good balance, the white wines stand out on the nose for their citrus notes and boast vibrant, fresh structure. Cellaring will allow these wines to develop additional complexity and aromatic finesse although they may nevertheless be enjoyed while young. Endowed with beautiful, deep ruby colour, these wines feature flavours of freshly picked red fruit such as raspberries, cherries and redcurrants on the palate. Some of these Pinot Noirs offer jammy flavours. The structure of these wines is supported by lovely length on the palate with a wide range of appealing aromas and flavours. Faced with the vagaries of the weather, Burgundy’s wine professionals increased their efforts to get the best out of their vines. This year’s wines reveal more of their personalities through the aromatic diversity that is characteristic of Burgundy wines. One of the traits of this vintage was lower quantity (the amount of grapes harvested was approximately 20% below average) but fantastic quality. These expressive wines reveal notes of both citrus and fresh fruit. They are straightforward and already show lovely balance on the palate. The whites from northern Burgundy are powerful and express all of the typicity of their terroirs: minerality, flint, and chalky notes. This classic vintage stands out for its finesse and exceptional concentration. Certain wines, endowed with magnificent complexity and perfect structure, may be cellared for a few years before drinking. In the Côte de Beaune, the wines, with their notes of ripe and dried fruit and their powerful, vibrant palate, are a sure bet for cellaring. 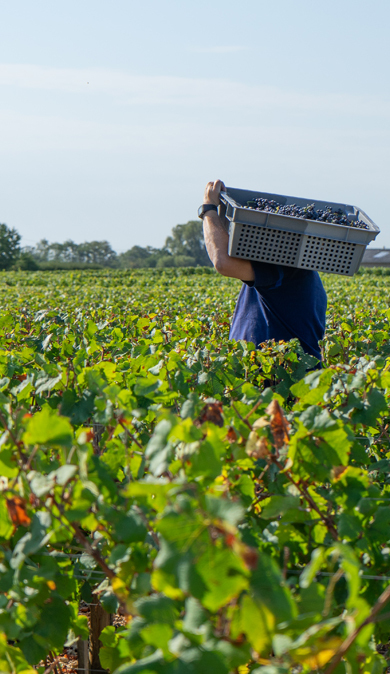 In the Côte de Beaune, problematic weather conditions resulted in low volumes. The wines are redolent of rich, intense red fruit aromas. The tannins are ripe and silky, lending lovely harmony to the palate. 2012 is guaranteed value. It was an excellent vintage in the Côte de Nuits. The wines, which boast intense colour and ripe fruit and berry aromas and flavours, are remarkably well balanced. 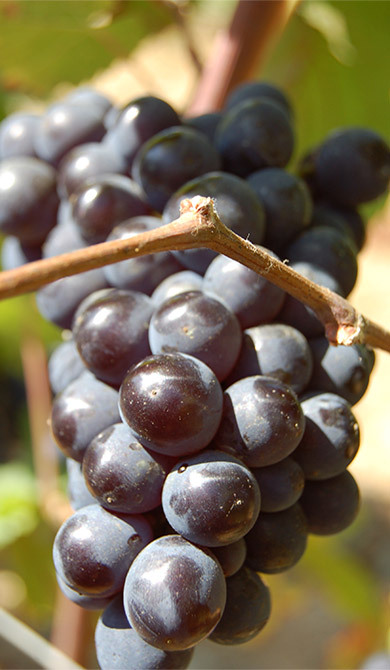 At once soft and fresh, their body is underpinned by particularly soft tannins. Weather conditions resulted in a relatively early vintage, as in 2003 and 2007, with the harvest taking place in August. The growers’ know-how combined with the quality of the grapes in Burgundy’s vineyards could only guarantee quality wine for this vintage. These wines stand out for the great purity of their aromas and clean, straightforward flavours of citrus and subtle floral notes on the palate. Lovely acidity enhances the flavours of these fresh, expressive wines. The wines’ harmonious equilibriums, which were already perceptible when tasting the grapes on the vine, are confirmed in the glass. The tasting experience is highlighted by lovely roundness on the palate. Ageing lends further complexity and finesse to these wines that nevertheless may be enjoyed in their youth. These are delectable wines with beautiful, very intense red colour. Depending on the area, a wide range of aromas and flavours are represented: fresh fruit, red fruit (raspberry, cherry) and notes of mild spices. Freshness and balance are perceptible on the palate, and the tannins are round, soft, and elegant. The delectable aspect of this vintage is already perceptible, allowing these wines to be enjoyed without having to wait. Though weather conditions were often difficult, particularly during the summer months, this vintage offers the opportunity to discover great wines with excellent potential, much to the surprise of most of the industry’s professionals. 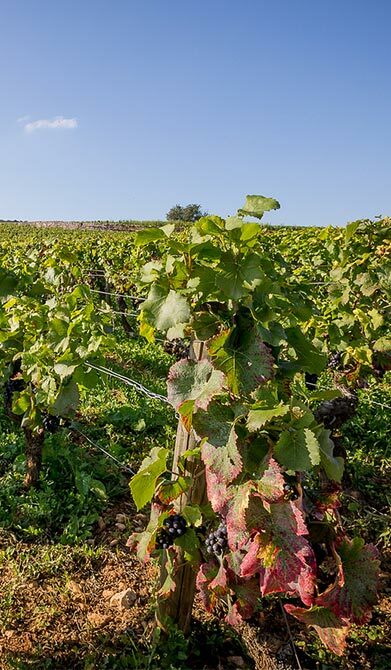 These wines are balanced, exuding freshness and purity; on the palate their minerality contributes to expressiveness that reflects the typicity of Burgundy’s terroirs. 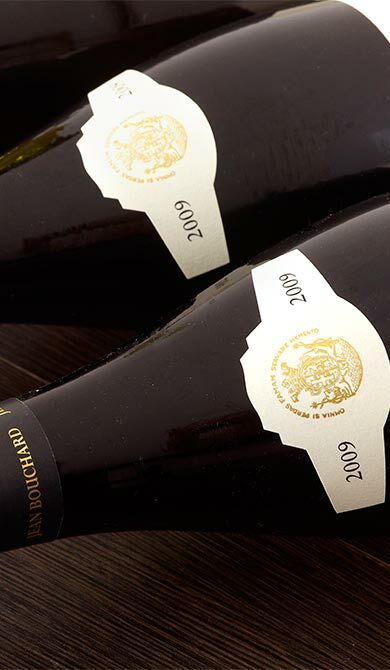 Throughout the region, from north to south, these wines reflect the elegance and finesse of the great Burgundy classics. These extraordinarily fragrant wines offer nuances of red fruit and fresh fruit on the nose and boast lovely cherry red colour. The tannins are silky and there is real harmony between acidity and roundness on the palate. In the Côte de Nuits and Côte de Beaune this vintage yielded much more heterogeneous results than the previous year, with successful cuvées worthy of the truly great vintages in which finesse, pure precision, and complexity reign. Balmy weather made for a textbook year in which the vines were able to benefit from ideal conditions throughout the entire growth cycle. This allowed us to harvest grapes that had undergone slow, even ripening. Each wine is truly the reflection of the terroir it hails from. These wines featured a fantastic aromatic profile even before alcoholic fermentation was complete. The structure of the wines is based on roundness and fullness with a certain liveliness that lends them magnificent harmony. The Chablis wines are aromatic and elegant. 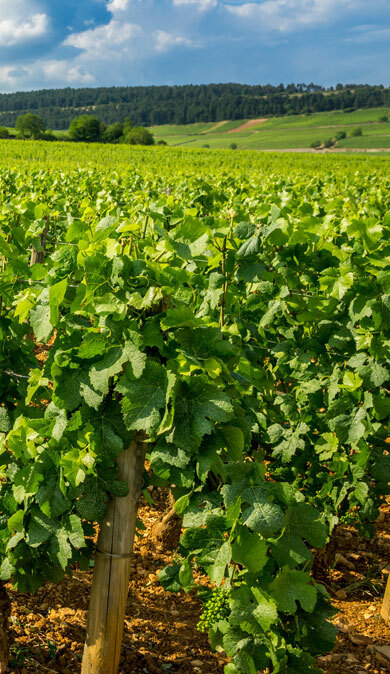 In the Côte de Beaune, the wines are fruity, generous, soft and perfectly balanced. Appealing at first glance, these wines feature beautiful, deep, brilliant red colour. The nose is just as flattering, with aromas of ripe red and black fruit enhanced by spicy notes that develop as the wine opens up. Right from the start, these wines’ complexity is perceptible on the palate through their body and fullness. Then, their balanced structure is revealed, supported by round, silky tannins. On the finish, these rich wines boast fabulous length and leave a sensation of fullness in the mouth. 2008: A close call in Burgundy due to unstable weather conditions. The powerful white wines are along the lines of the great Burgundian classics, whereas the reds boast excellent ageing potential. The ripeness of the grapes at the time of the harvest has resulted in wines that are very attractive and endowed with magnificent balance. The remarkable freshness and minerality of the wines from Chablis and the Grand Auxerrois region accentuate the classic aspect of this vintage, which also is characterized by excellent length on the palate. The round, full-bodied, yet pleasingly fresh wines from the Côte Chalonnaise and Côte de Beaune, are textbook examples. The lovely colour and substance of these wines bear testimony to the ripeness of the grapes. Very straightforward and elegant on the nose with a great deal of aromatic complexity – the aromas of red fruit are complemented by subtle notes of spice and light tobacco. The Côte de Beaune wines are both full-bodied and soft on the palate with lovely complexity thanks to supple tannins. The Côte de Nuits wines are superbly well balanced with excellent mouthfeel and imposing length, the sign of a great vintage with a great future. Many descriptors have been used for the 2007 vintage. From early to uneven, capricious weather, a “first”… all due to the whims of the weather. This vintage tends to offer modern wines that are still true to the classic Burgundy style. This was a remarkable vintage thanks to the sun’s rays that shone down on the grapes until mid-September. The wines are extremely pure and boast a very pleasing floral style. The Chablis wines stand out for their characteristic minerality and remained lively right up until they underwent malolactic fermentation. 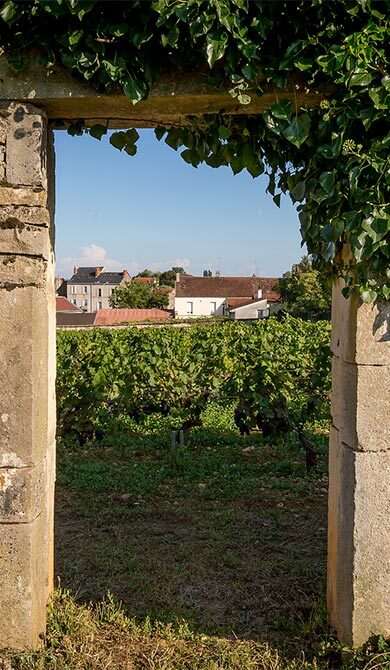 In southern Burgundy, the grapes in the Mâconnais and the Côte Chalonnaise were harvested later and produced opulent wines with greater aromatic diversity. The wines boast beautiful cherry red colour tinged with purple, which is characteristic of cool years. The 2007 vintage features flavours of fresh, delectable red berries. The yumminess of the aromas perceived on the first nose are echoed on the palate and enhanced by these decadent wines’ fullness, roundness and silky finish. In the Côte de Beaune, the wines are fruity and elegant, despite being rather heterogeneous in their youth, while in the Côte de Nuits the wines are more uniform and very approachable though they boast great complexity. 2006, a challenging year, which required constant attention as much in the vineyards as in the wineries, resulted in excellent whites and astounding reds. These enchanting wines are extremely expressive and fruity on the palate with a great deal of richness. Their flavours are evocative of citrus and white-fleshed fruit, flowers and notes of candied fruit when the alcohol levels are high. The Chablis wines truly show off all of their characteristic minerality. Quality was even from Chablis to Mâcon and the specificity of the different winegrowing regions was respected. The wines boast beautiful, intense colour. Analyzing the grapes’ anthocyanin levels (molecules contained in the skin of the grapes which give the wine its red colour) gave the winemakers precious information that allowed them to choose the best-suited techniques to bring out all of the wines’ potential. Just before harvesting, the tannin levels were rather high. Some of the wines are delicate and elegant; others prove to be fleshier with more body, which bodes for good ageing potential. The aromas and flavours revolve around red fruit (raspberry, blueberry), cherry, spices and cocoae.